How much storage space and bandwidth will my plan include? There are no set limits on the storage space that we provide in our shared hosting plans. Scalable bandwidth is increase of bandwidth of your site when required considering your legit usage. We want you to have the resources you need to build a great online presence, and 99.95% of all customers will have more than enough storage space and bandwidth to meet their needs. That being said, we do require all customers to be fully compliant with our Terms of Service and utilize storage space and bandwidth in the normal operation of a personal or small business website. While it is rare, we may need to put constraints on accounts that are using resources beyond what would be expected in the normal operation of a personal or small business website. Typically, customers only run into issues if they use their accounts for storage or file sharing, which is not what our services are intended to support. In accordance with our Terms of Services the storage space and bandwidth you use must be integrated into the normal operation of your website. How do you determine "normal" operation for Shared hosting plans? We regularly run customer bandwidth and storage space utilization through a series of statistical analyses and use the results of these studies to define normal. Although the actual results of these analyses vary from month to month, one thing remains constant: 99.95% of our customers fall into "normal" range. 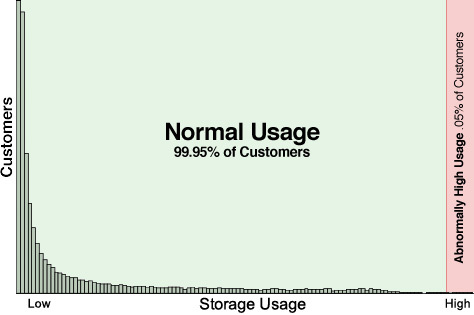 Typically, customers who fall outside the normal range are using their accounts for file storage or sharing rather than hosting. If you have a question about whether your website will fall into the normal range, feel free to contact our team. We'll be happy to talk about your specific needs before you purchase your hosting plan. User should understand that UNLIMITED is a freedom for hosting. Inode limitations are set for UNLIMITED Web Hosting plan. Misuse of the freedom will result in limiting of space/bandwidth or suspension. itemprop="description" To avoid server overload we do not allow uploading single files over 200 MB and simultaneous uploads of large files. 2. We do not allow hosting & distributing copyright-infringing material, Commercial Image Hosting and Audio/Video Streaming (more than two or three streams). We suggest youtube link for video files. < itemprop="description"p>3. Hosting & Sharing large amounts of data not specifically tied ("linked") to your hosting account is not allowed. Any user account violating the 4 main limitations above and the TOS below will result in limiting of resources or suspension . What happens if I exceed "normal" usage? What happens if I exceed "normal" usage? If we have concerns about your account's bandwidth or storage space utilization, you will receive an email asking you to reduce usage. Generally, we provide customers with a minimum of 48 hours to make adjustments before taking the account offline. Again, the most common situations involve customers who use their accounts for storage of files—particularly multimedia files—that are not linked off of their websites. It is very rare for a customer who is managing a personal or small business website to exceed normal usage. While Inway Hosting allows its shared hosting customers to create unlimited mailboxes (i.e., POP/IMAP accounts), each individual mailbox has a storage capacity specified on the plan features of each page. This file was last modified on Jan 01, 2016. © 2015 Inway Communications. All right reserved. To avoid server overload we do not allow uploading single files over 200 MB and simultaneous uploads of large files. 3. Hosting & Sharing large amounts of data not specifically tied ("linked") to your hosting account is not allowed.